Like most tales there is a history of events and like most tales that involve me it contains a somewhat casual randomness of action that is characteristic of my approach to life. 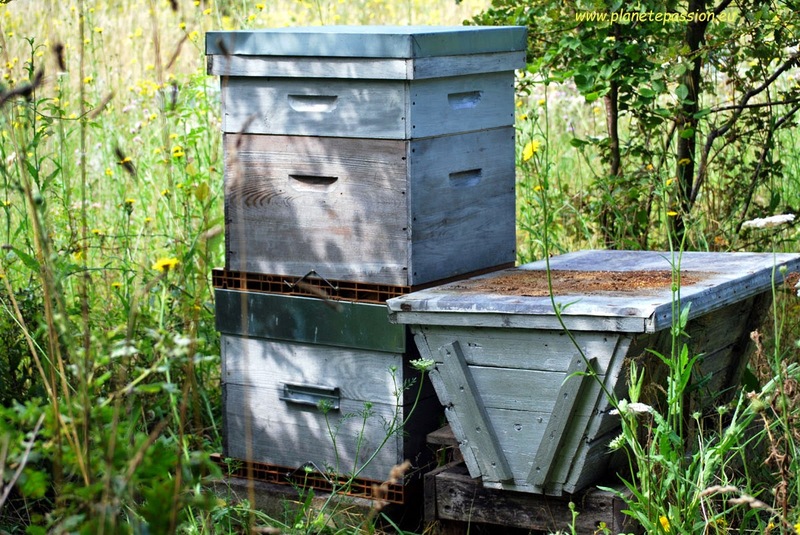 In the spring of last year I collected some bees in a ruchette, (small hive box), and returned home with them around dusk and spotting an empty African Top Bar Hive with a flat lid I thought that will do and put them on top of it. The colony grew as most of them do and as this was now their orientated spot I transferred them into a full hive in the same position. This spring I added a honey super along with all the other hives that required them and left them to it just keeping an eye on things in case anything went seriously wrong and also when and if supers need adding or changing. Then about four weeks ago when I was by that particular hive I saw an Asian Hornet fly into the empty Top Bar Hive and not come back out. Ooooop’s thought I, better keep an eye on that and see what’s happening as it wasn’t possible for me to easily move the occupied hive on top and should it be an Asian Hornet nest there would be plenty of time to deal with it before it could even be considered a nuisance. Time passed as it does and last week I observed that there was an increase in activity with the odd Hornet coming and going. 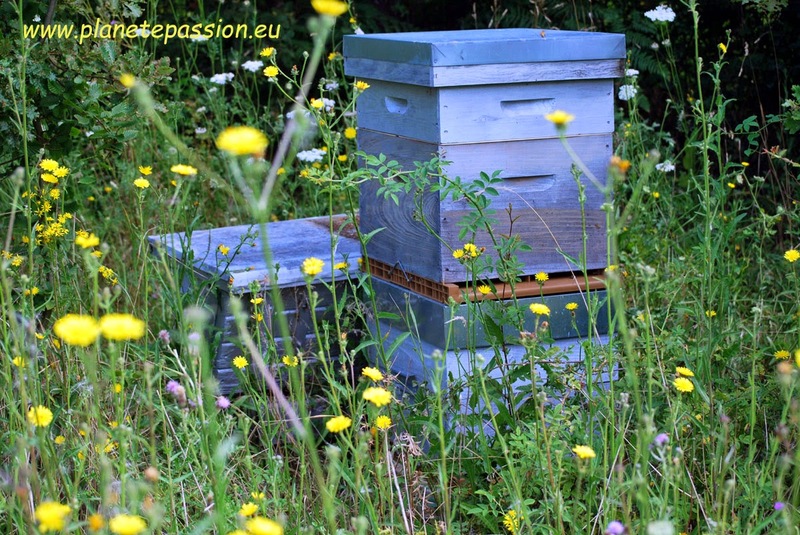 The problem was that I managed to injure my back the other week which has made lifting and heaving impossible or as good as impossible without risking an even worse back situation with the honey harvest due in 3 or 4 weeks. Anyway, yesterday Fred Woolford a bee keeper friend came round to give me a hand to move things to enable us to access to the Hornet nest. 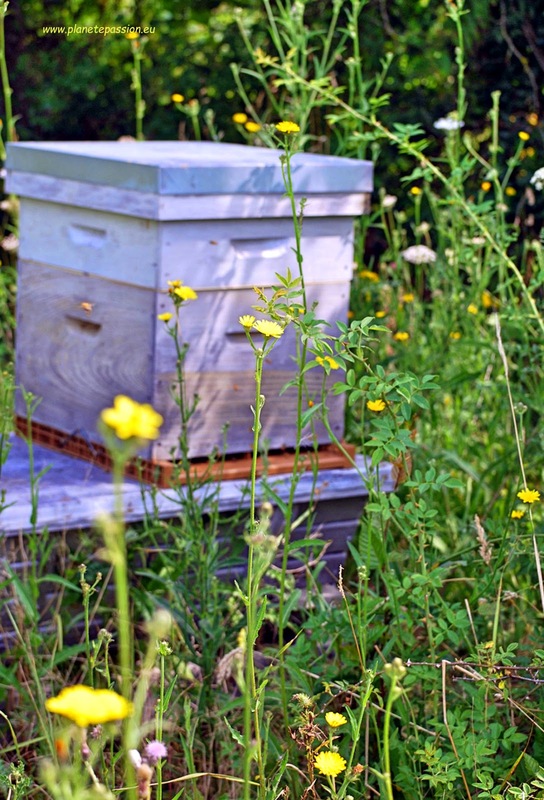 In the event it wasn’t complicated with two people simply using some blocks and another empty hive to stand the occupied one on. For the bees this only meant moving their entrance forward by 60 or 70 cm on their existing flight path. 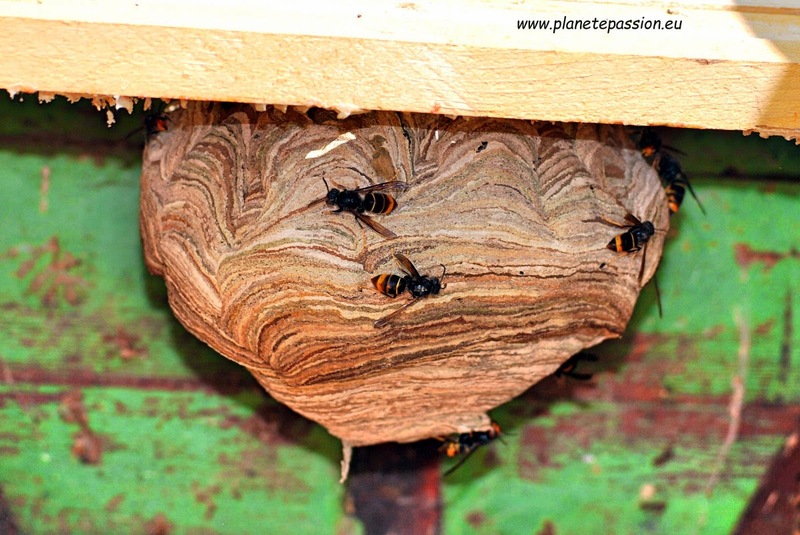 When we did this it rocked the Top Bar Hive a bit and a small number of not very happy Hornets came out to buzz us and having left them to settle a bit I removed the lid from the hornet hive to reveal a lovely little nest as you can see in the photos. 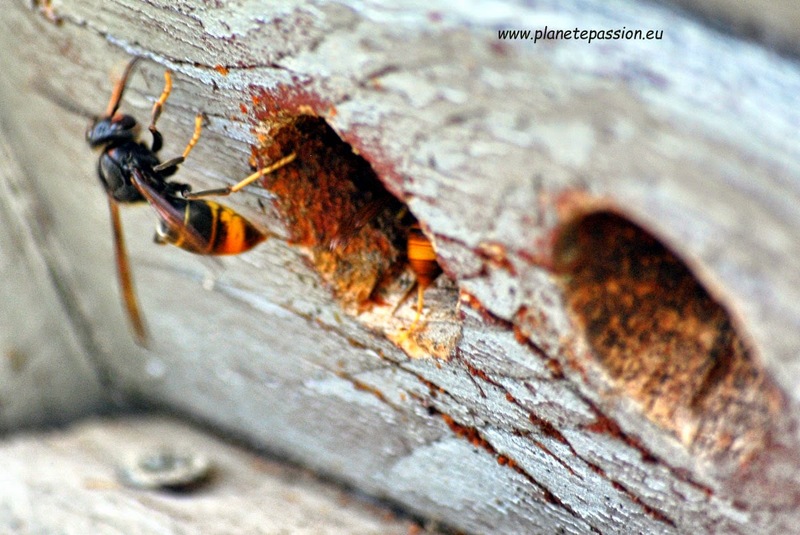 I’m sure some people may have looked at that and thought “What’s the fuss about?” but it’s at this time of year that an Asian Hornet colony will increase in size exponentially and can reach huge proportions in both physical size and population by September. The rest is history for the Hornets at any rate, sad but necessary, native hornets I may have tolerated even that close to an active hive but not an introduced species. An Aesculapian snake fell in the river today.